Alexandria Ocasio-Cortez became the youngest woman ever elected to Congress when she won in New York’s 14th congressional district on November 6, and apparently nobody will let her forget it. During the week-long orientation for incoming freshman members of Congress, Ocasio-Cortez, who is 29, says was repeatedly mistaken for an intern or congressional spouse. “People keep giving me directions to the spouse and intern events instead of the ones for members of Congress,” she tweeted on Wednesday, with a face-palm emoji thrown in for good measure. 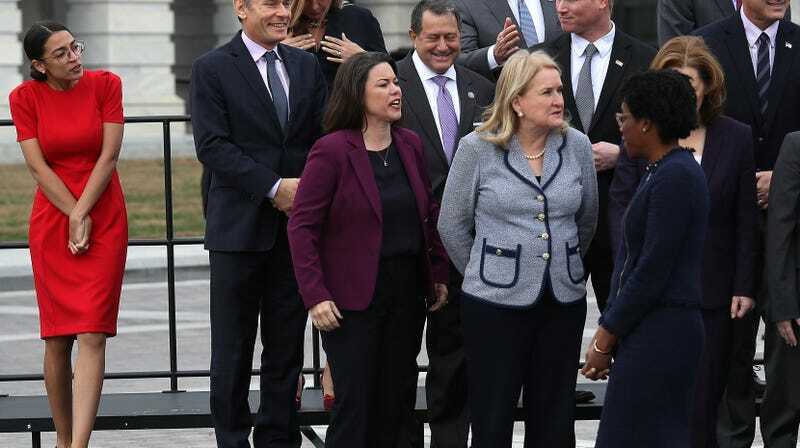 But the experience was familiar to Republican Congresswoman Elise Stefanik, who was the youngest-ever woman in Congress when she was elected to represent New York’s 21st district in 2015 at the age of 30. “I remember this well,” she said in a tweet, then recommended Ocasio-Cortez smile and “excitedly say” that she is a member of Congress. The median age of Congress is currently 57. It’s still mostly male and it’s still mostly white.